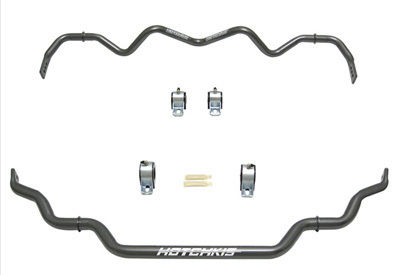 Upgrade the Handling control of your Infiniti G35X / G37X with the Hotchkis Sport Swaybars Set. The Hotchkis Sway Bars will dramatically improve steering and cornering response of your car by reducing the amount of body roll. By keeping the vehicle flatter during the turns the Hotchkis Sway Bars gives the car increased traction providing a more comfortable handle. Your car will feel much more crisp and precise around the corners. With emphasis on ride quality, you will feel a huge impact in steering as maneuvering takes a lesser amount of steering input with greater response. 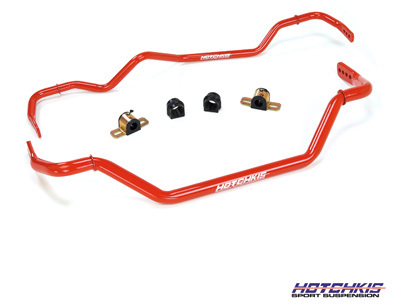 Improve the handling and Maximize the performance of your Infiniti G35X / G37X with the Hotchkis Sport Swaybars Set. If you have any questions about the Infiniti G35X / G37X Sport Sway Bars Set call 714-582-3330.